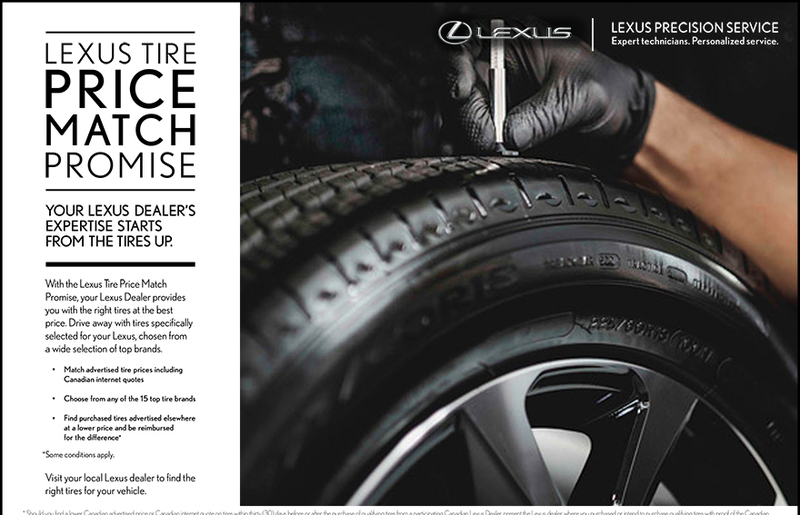 Tony Graham Lexus is proud to be one of Ottawa’s premier wheel & tire experts! At Tony Graham Lexus, we pride ourselves on ensuring every guest’s visit is a pleasant one – why should your winter tires & wheels appointment be any different? With our ‘Price Match Promise’ you can guarantee you’re always getting the best value for your wheels. See a better price for your winter tires somewhere else? Tell us and we will happily match the better price! If you need somewhere to store your tires throughout the winter, Tony Graham Lexus has you covered! We have built a simple, stress-free solution that is a fantastic value to you. First, your tires will be carefully measured for tread-depth – which is noted – and then they will be tagged and stored in a climate controlled facility in Ottawa – no storage containers here – that handles each set of 4 tires electronically using bar-code tracking. All winter tire package prices include mounting, balancing, and installation. To order any set listed above, or if your vehicle is not a current model, please contact your Tony Graham Lexus Parts experts to place an order or request full details including availability.